Film Plot: A heinous crime and its aftermath are recalled from differing points of view. Grade: C9	Near Mint. Folded, single-sided. Extremely minor handling wear and some reddish smudges on the top-edge of the reverse of the poster (that does not bleed through). Amazing original condition with bright, bold colors. Rashomon is one of the most important and influential films in the history of cinema. It redefined the narrative structure of film, re-telling the same tragic event from the perspective of four different witnesses — showing how ego, deception, bias and perception enter into the various accounts. 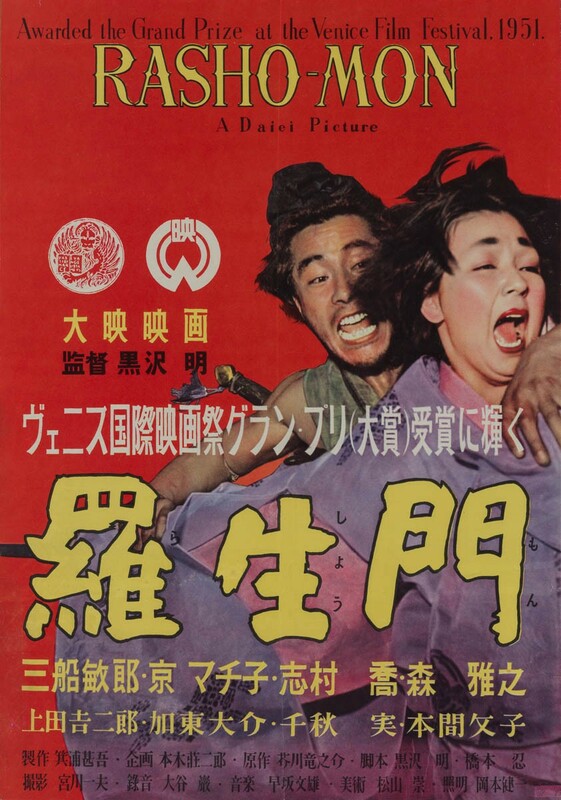 Its influence has transcended film into the worlds of journalism and criminal justice where the “Rashomon effect” is now a widely accepted phenomenon calling into question the reliability and contradictions of even first-hand witnesses. This film ranks right along side other ground-breaking films including Birth of a Nation, Citizen Kane and Breathless. 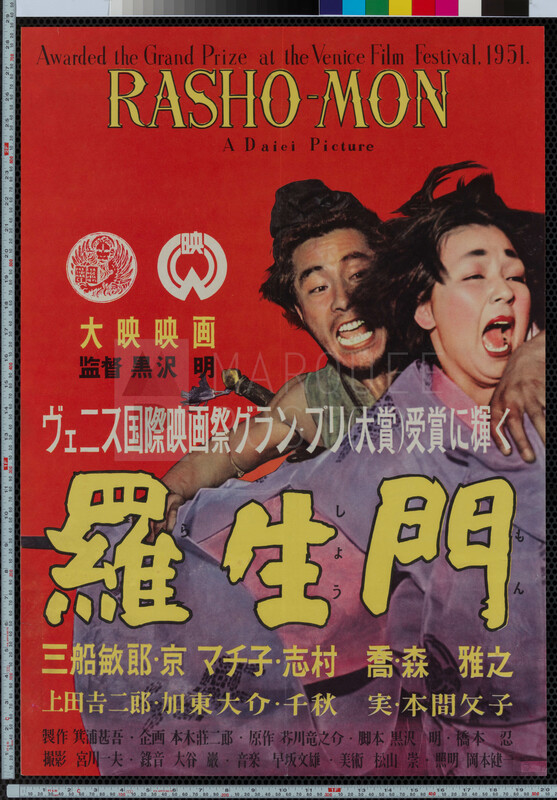 This striking poster celebrates Rashomon’s win at the Venice Film Festival in 1951 — the first major award on the world stage for any Japanese film. 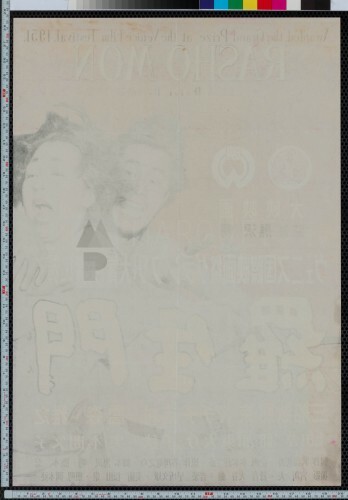 There was still a huge American presence in Japan in the early 1950s so two posters styles were produced, one in Japanese and one in English, each with unique artwork. To my knowledge this Japanese variant has never been sold publicly in the west. Do not miss out on this extremely rare poster for one of the greatest and most important films ever made!